Pakistan Prime Minister Imran Khan has recently informed of granted the country’s citizenship to Afghan refugees’ children who were born in Pakistan. Speaking in a gathering in Karachi, Imran Khan by pointing to policy of EU member countries and US in connection with refugees said Afghan refugees born in Pakistan would be granted the country’s citizenship. “Refugees’ children are given citizenship in each country of the world, but why we do not grant citizenship to the children of Afghan refugees living in our country and why they are deprived,” Khan said, adding that 2.5 million Afghan refugees are living in Karachi, but they still don’t have Pakistani passports and identity cards and are deprived of working as Pakistani nationals. Imran Khan stressed that as Prime Minister of Pakistan granting citizenship of the country would be in top priorities of his government. Nevertheless, a number of Afghan political experts and lawmakers have asked Afghanistan government to pave the way for honorable repatriation of Afghan refugees from Pakistan to Afghanistan. 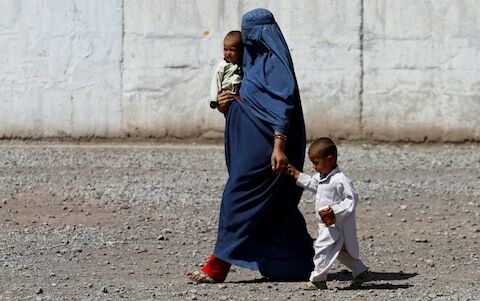 “It is common those who are born in a country are granted citizenship of that country and it is the first time Pakistan government has decided to give citizenship to those Afghan refugees who were born in the respective country,” an Afghan political expert Ali Rahmani said. But he says the people of Afghanistan also want the government of Pakistan to take serious action against terrorist groups that have safe havens in that country as Afghans know that they have common religion and culture; therefore, the neighboring country should honestly cooperate with Afghanistan in maintaining peace and stability in the country. Rahmani also said that Afghanistan government should provide facility for honorable repatriation of Afghan refugees to their home country so that they could live as their Afghan brothers and serve the country. Another Afghan political expert Ahmad Saeedi by criticizing the Pakistan government’s new decision says in consideration to critical security condition and increasing unemployment in Afghanistan this step of Imran Khan will cause that our people once again become interested in living and working in Pakistan. “The government of Afghanistan should try its best to pave the way for honorable repatriation of Afghan refugees from not only Pakistan but also all neighboring countries,” Saeedi added. Meanwhile, a number of Kabul residents say Afghanistan government should create a particular policy to address all challenges and problems of those Afghan refugees who have repatriated to their home country during the past few years as the new repatriated Afghan refugees are facing with various challenges. Maryam, a student who has graduated from Ariana High School, says Afghans are still illegally migrating to various countries including neighboring countries due to increasing of insecurities and unemployment in the country. UNHCR has recently reported that currently nearly 1.4 million documented Afghan refugees and more than 400,000 undocumented Afghans are living in Pakistan.